Here’s another great competition prize for Good Ski Guide readers – a luxury weekend in exotic Slovakia to ski in the splendour of the High Tatra Mountains, courtesy of Mountain Paradise. The lucky winner and partner will take the two-hour flight on Thursday to Poporad and after just 15 minutes arrive at your 5-star hotel in the lovely resort of Tatranska Lominica. And ready to tackle the ski slopes which have just had a £150 million upgrade to lifts, pistes and lodgings. 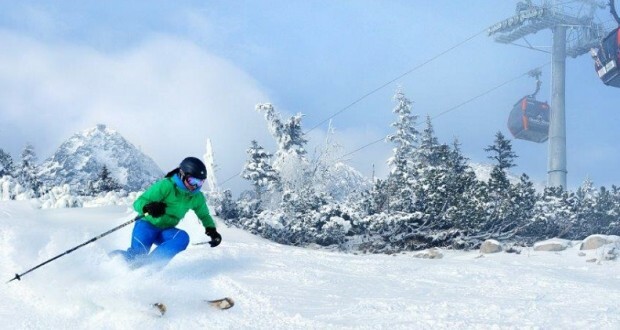 The resort is perfect for first-time skiers (great instruction) improvers and intermediates and all of the packages include return flights and airport transfers from London Luton to Poprad. There are 40 miles of piste dominated by the splendorous background of the High Tatra peaks and the resorts enjoy a lively European-style apres ski with lots of fiery drinks. Holiday arrangements are with Mountain Paradise, the only ATOL-registered tour operator to the area. THIS COMPETITION IS NOW CLOSED, PLEASE CHECK HERE FOR OUR LATEST COMPETITIONS. • The start date of the competition is October 1, 2015 and will finish at midnight on March 29, 2016. Prize is valid till December 2016.